Lift Service, Inc. maintains a diverse rental fleet of approximately 150 machines. We have machines available for minimum one day rentals as well as long term rentals for up to 60 months. We will provide long term rental agreements for any new machine provided by one of manufacturers we represent. We have a wide variety of equipment available for short term rentals. We have LP gas units, electrics, and a few diesels. 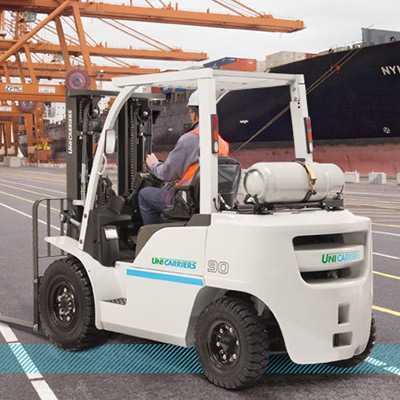 Our rental fleet would typically include pneumatic forklifts in capacities up to 15,000 pounds. Cushion tire units would usually available in capacities up to 15,500 pounds. We also have available reach trucks, order selectors, manual pallet jacks, electric pallet trucks, sweepers, scrubbers, assorted golf or utility vehicles, and one 70 HP bulldozer. We take care of all maintenance associated with our rental equipment. The only management tool you need is a telephone. Please give us a call about any rental requirements coming up.